We sell the complete Husqvarna and Stihl con saw and powersaw range for concrete cutting. We stock the Stihl TS410 and Husqvarna K770 12" concrete saws. We can also get the full range of powersaws from both Stihl and Husqvarna on special order if you request any of their bigger models. We supply a full range of diamond blades and steel cutting blades to suit both the Stihl TS410 for sale and the Husqvarna K770 for sale. 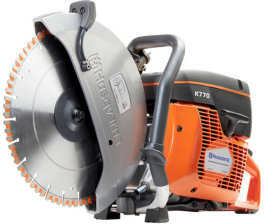 We stock the brand new Husqvarna K770 conrete saws for sale and Stihl TS410 con saws for sale in Ireland. 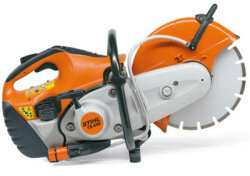 We stock both the 12 inch and 14 inch versions for Stihl and Husqvarna. We can deliver most of our consaws to any part of Ireland, call us for availability and a quote.